When you're trying to support your family, take care of your household, and pay all of your bills on time, every day at work counts. Work injuries can be a serious problem for many people, and we see many of these types of injuries in our North County, St. Louis, MO office. Dr. Mark Holland appreciates your situation and is here to help. The benefits of chiropractic care for work injuries are well-established. A 2013 survey involving over 600 adults who were troubled with either back or neck pain found that the men and women who didn't see a chiropractor missed work at twice the rate of those who were seeing a chiropractor. According to the participants in this study, two of the major factors were that they thought they needed a medical referral for chiropractic care (which is typically no longer true) and they overestimated the costs associated with chiropractic treatment sessions by almost 70 percent. Knee pain is a frequent problem for people in our North County, St. Louis, MO chiropractic practice, and Dr. Mark Holland has successfully provided many of these men and women relief. This is mostly because chiropractic care has been found to help with many kinds of knee pain. For example, some patients encounter pain in and around the knee area due to osteoarthritis. Research has confirmed that this condition responds very well to chiropractic--and rather quickly, too. In fact, one study published in The Journal of the Canadian Chiropractic Association found that individuals with osteoarthritis in their knees felt significant pain relief and improved function after just two weeks of chiropractic care. If your knee pain is caused by a medial meniscus tear, chiropractic could likely help with that as well. One article found that integrating chiropractic with soft tissue treatment, rest, ice, and compression on the affected knee helped lower the intensity of the pain. Of course, sometimes a knee replacement surgery is required in order to repair the issue, and if that's the case, chiropractic can also help improve the outcome. How? Research has shown that patients with low back pain often have less positive results after knee surgery. Thus, dealing with your back pain through chiropractic before having a total knee arthroplasty can assist with your post-surgery recovery. No matter what your knee issue, Dr. Mark Holland can likely help. Call our North County, St. Louis, MO location today and find out what we can do for you! While many women automatically assume that pregnancy and back pain go hand in hand, they are often surprised when they discover that this is not necessarily the case. In fact, chiropractic adjustments can often help alleviate back pain for pregnant women by as much as 85%. We've worked with many pregnant women suffering from back pain in our North County, St. Louis, MO office. There are also many additional advantages of chiropractic care during pregnancy. Not only does it effectively relieve back pain, but it does it in a completely natural and non-invasive way. This means that you don't have to worry about taking any drugs or undergoing any type of treatment that could potentially harm your unborn child. We're here in North County, St. Louis, MO to help you have a healthy, pain-free pregnancy. Give us a call today at (314) 867-8888 to make an appointment. We know how difficult chronic headache pain can be. Dr. Mark Holland and our staff have worked with many people in our North County, St. Louis, MO chiropractic practice, and we've had great success in helping people reduce their headache pain. A 2016 research study verifies what we see in our office. 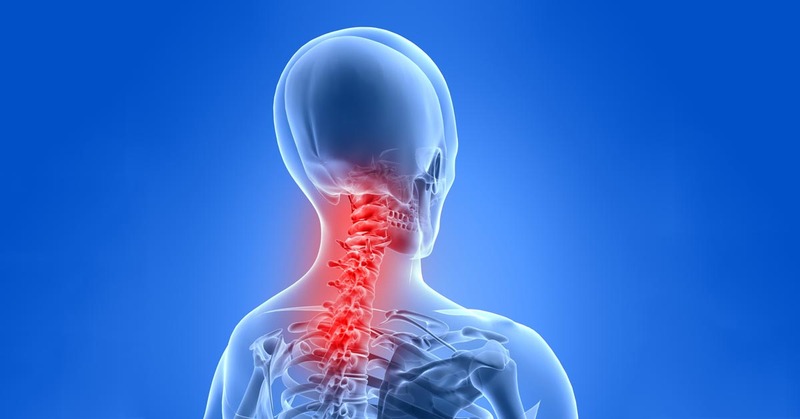 In this study, the authors started with 110 patients who were suffering from headache pain that originated in the cervical spine. 58 of these patients were given a series of neck adjustments; 52 were given some stretches and exercises. The treatment period for both groups was four weeks. Chiropractic is a safe and effective way to treat chronic headache pain, back pain, neck pain, and many other health conditions. If you're tired of suffering, give Dr. Mark Holland a call today at our North County, St. Louis, MO office at (314) 867-8888. We're here to help get out of pain. Each year, there are millions of car crashes in the world, and a significant number of men and women get hurt in a collision. Although most accidents are "minor," chronic back and neck pain are still frequent health problems. The good news is that chiropractic care is a fantastic way to treat these kinds of injuries. We have helped many auto injury patients in our North County, St. Louis, MO office, and Dr. Mark Holland has been treating people with these types of problems since 2000. During a collision, your body is subjected to large forces that it simply wasn't built to deal with. These forces place stress and strain on your neck, shoulder, and back, and can result in injury to the ligaments that hold your spine together. A crash can result in a wide range of pain issues. A ligament tear in the neck can trigger pain, swelling, and radicular symptoms in the arm and hand. Chiropractic works well for these types of injuries, because chiropractic concentrates on restoring the healthy function and mobility of the injured areas. Dr. Mark Holland, your North County, St. Louis, MO chiropractor, can assist by reducing irritation in the damaged area and can help minimize the creation of scar tissue that can cause chronic pain and disability. You don't have to suffer from auto injury pain. Discover more about how we can help you get well here or call Dr. Mark Holland today at (314) 867-8888. Of the roughly 2 million rear-end collisions in the US each year, a substantial number of people end up dealing with long-term pain and disability. Some research shows that about 20% of people are still in pain one year after a collision. Dr. Mark Holland sees many accident cases in our North County, St. Louis, MO office, and we oftentimes see individuals who have been struggling for many years and have not been able to find help. Dr. Mark Holland has great success in treating these patients. During a crash, the tissues of your spinal column can be stretched or torn. The injured area becomes swollen and irritated and transmits pain impulses to the spine and brain. Pain tells your nervous system that something is wrong, which tells the muscles in the injured area to contract to shield the area from further damage. If the damage isn't managed right away, a negative cycle develops. The damaged tissues keep sending pain signals and each time, your nervous system responds. This produces a feedback loop in your nervous system that experts refer to as "central sensitization." Your nervous system basically becomes oversensitive to any kind of stimulus, causing chronic pain. Dr. Mark Holland is able to help this kind of issue, as chiropractic is a proven way to restore your nervous system's healthy functioning. Studies show that adjustments are effective at reducing pain from car accidents and shows that chiropractic actually has positive effects on the pain centers of the brain. If you live in North County, St. Louis, MO and have been in a collision, you don't have to suffer with chronic pain. Give Dr. Mark Holland a call today at (314) 867-8888 for a consultation or appointment. If you are dealing with shoulder pain after a car accident, don't worry. Dr. Mark Holland sees this type of condition frequently in our North County, St. Louis, MO office. What causes shoulder pain after a car crash? How can chiropractic care help? There are at least two ways that you can get shoulder pain after a car crash: by direct injury to the shoulder joint or by radiating pain from the neck. Direct damage can be caused by striking your shoulder on a hard object in the car during the impact, or can occur if you have a tight grip on the steering wheel during a rear end impact. With this type of trauma, you'll usually be aware of the pain soon after the wreck. More commonly, Dr. Mark Holland finds that shoulder or arm pain doesn't immediately appear after a crash, but starts a few days or weeks after the injury. This type of shoulder pain actually starts in the cervical spine. Injured soft tissue in your neck can tweak nerves in your neck, causing numbness, tingling, or pain in your shoulder, elbow, or wrist. We've worked with both types of shoulder problems in our North County, St. Louis, MO office. This process involves chiropractic adjustments to restore your spine's natural flexibility and home exercises that strengthen your neck and shoulder. You don't have to suffer from shoulder pain. Dr. Mark Holland is conveniently located in North County, St. Louis, MO to help you get better, whether you've been in a car crash or not. First, we'll do a careful examination to determine the root cause of your pain, and then decide how to restore your body's natural functioning. Give our office a call today at (314) 867-8888 to make an appointment. We work with many auto injury cases in in our North County, St. Louis, MO office, and a widespread symptom we see in our patients is headache. The key to recovering from headache caused by a crash is to understand the root cause of the problem and how chiropractic care can help. There are many different kinds of headache. Headache that's triggered by an auto injury, though, usually starts as tension or strain in the muscles of the cervical spine. In a collision, the neck muscles can be damaged, which causes swelling and discomfort. These types of headache can be felt in different places, including the back of the head or even the temple. Another common cause of pain after a crash that we see in our North County, St. Louis, MO office is cervicogenic headache, or headaches that start in injured ligaments of the neck. Ligament injury is very common after a crash, and it's important to get therapy for this type of problem to prevent the development of scar tissue. Chiropractic is an excellent way to treat headaches, including those brought about by car crashes. Your chiropractor will help reduce the swelling and tension in your neck, which will help relieve the headache pain. You don't have to suffer from headache. Dr. Mark Holland is conveniently located in North County, St. Louis, MO to help you recover, whether you've been in a car crash or not. First, we'll do a careful assessment to establish the root cause of your problem, and then decide how to restore your body's natural functioning. Give our office a call today at (314) 867-8888 to make an appointment. Dr. Mark Holland works with many sciatica patients here in our North County, St. Louis, MO office, and quite a few of these patients were afraid that they might need surgery to treat their pain. The latest research indicates that many people don't require surgery for this common issue, and that chiropractic is more successful at clearing up sciatic nerve pain. 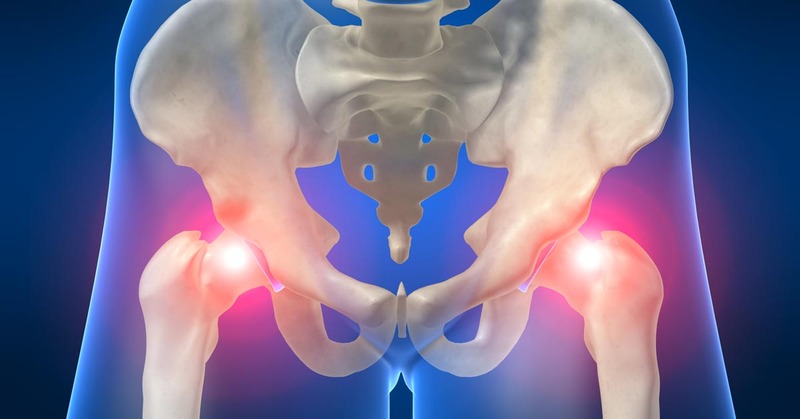 A typical surgery for sciatica is microdiscectomy, and in a 2010 study, specialists examined 80 individuals with sciatica who were referred for this operation. Both groups improved; however, no noticeable difference in outcome was recorded one year post-treatment between the surgery group and the chiropractic group. In addition, roughly sixty percent of the participating patients who could not find assistance from any other treatment approach "benefited from spinal manipulation to the same degree as if they underwent surgical intervention." Simply put, chiropractic provided the same positive advantages as surgery without having to endure the higher levels of surgery-based pain or suffer through extended recovery times often associated with that type of treatment option. Additionally, you also don't run the risks associated with surgical microdiscectomy, including nerve root damage, bowel or bladder incontinence, bleeding, or infection. Surgery ought to be the last resort for sciatica pain. If you live in North County, St. Louis, MO and you're suffering from back pain or sciatica, give Dr. Mark Holland a call today at (314) 867-8888. We'll help pinpoint the origin of your pain and work hard to get you relief. With the Migraine Research Foundation reporting that migraines affect 38 million adults and children in the U.S. (more than diabetes and asthma put together), it's no surprise that Dr. Mark Holland treats a lot of migraine sufferers in our North County, St. Louis, MO office. While some people choose to relieve migraine pain with drugs, chiropractic is a fantastic, all-natural alternative that usually produces positive results. For example, one report published in the Journal of Manipulative and Physiological Therapeutics involved 127 participants ranging in age from 10 to 70-years-old who suffered with frequent (at least monthly) migraines. Each subject engaged in up to 16 chiropractic sessions. The subjects noted that their headache frequency, duration, and disability two months before the treatments began, during the duration of the sessions (which was two months), and two months post-treatment. 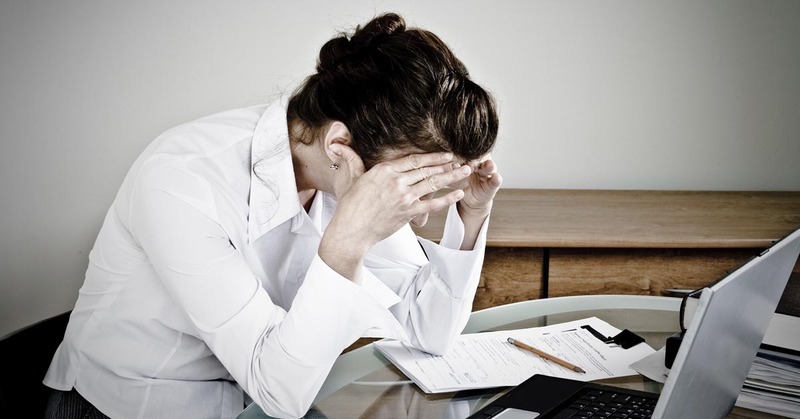 What the investigators discovered is that chiropractic adjustments reduced the frequency, duration, and disability of the migraine headaches when compared with the control subjects who didn't receive chiropractic. Furthermore, this allowed them to take less medication for the pain, offering them an all-natural answer for a chronic condition. If you have migraine pain and are looking for help, call Dr. Mark Holland today and request an appointment in our North County, St. Louis, MO chiropractic office. We'll do what we can to help you become pain-free!